The Blackhawks’ prospects have been busy as of late. The Traverse City prospect tournament concluded on Tuesday, September 11th. The Blackhawks’ squad finished in 4th place. 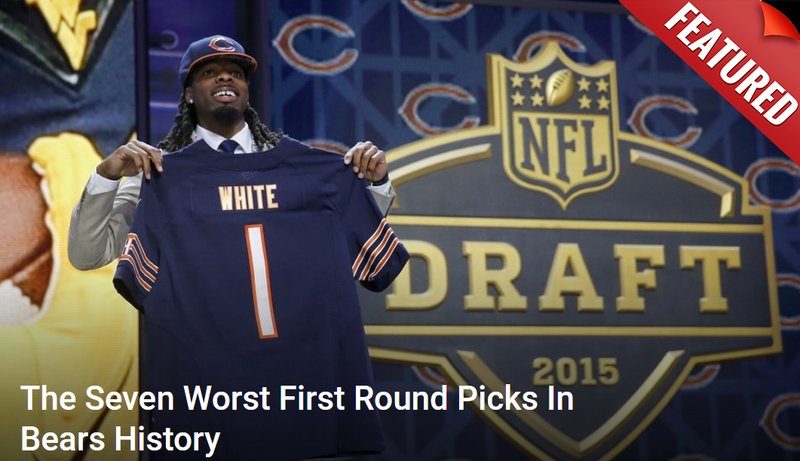 Even though they didn’t win, the organization and the fans did. We were able to see what some of the young guys can do and got a glimpse of what the future holds for our team. 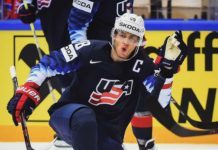 Which Blackhawks’ Prospects Are Ready Now? In my recent article about Dylan Sikura, I talked about his journey to the NHL. Sikura was a 6th round pick in 2014 who transformed into one of the best prospects in the Blackhawks’ organization. He played really well in the Traverse City prospect tournament. This tournament was a great opportunity to show why he deserves to make the Blackhawks’ NHL roster and he capitalized. Sikura’s puckhandling, skating, and playmaking abilities were on full display and he even scored an OT game-winning goal. At this point, it looks like Dylan Sikura has basically locked up a Top 9 role in this upcoming season. If I were to get more specific, I’d go as far as saying that I would like to see a line of Kahun-Anisimov-Sikura. Let’s see if Sikura can keep this momentum going in training camp and the preseason games. Victor Ejdsell has been on fire ever since the 2018 AHL Calder Cup playoffs with the Rockford IceHogs. Ejdsell scored multiple game-winning goals in the IceHogs’ strong playoff run. He stayed hot in the Traverse City prospect tournament, as he scored 2 goals in the tournament. We will have to wait and see if Ejdsell can stay hot through training camp and carry it over into the regular season. Based on his skillset and his recent hot streak, I see Victor Ejdsell in a Top 9 role this season with the Blackhawks and possibly as high as the 2nd line. I think he would fit in nicely on a 2nd line consisting of Ejdsell-Schmaltz-Kane. The Blackhawks signed Dominik Kahun this offseason. Since being signed, Kahun has made his presence felt and his intentions known. Starting in the Blackhawks’ prospect camp and again just recently, in the Traverse City prospect tournament. Kahun showed great chemistry while playing on the first line with Dylan Sikura and Alexandre Fortin. 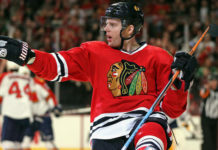 He has also made it known that he intends to return to Germany if he doesn’t crack the Blackhawks’ NHL roster, so it’s all or nothing. His mindset and body of work will work in his favor as he tries to carve out a spot with the Blackhawks. I see Kahun taking to a 3rd line role to start this season with the possibility of moving up based on performance. My 3rd line projection is Kahun-Anisimov-Sikura. Alexandre Fortin is a bit of a surprise late addition to my Top 5 list of Blackhawks’ prospects. 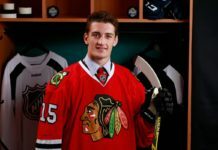 Fortin has had a strong showing in both the Blackhawks’ prospect camp and the Traverse City prospect tournament. Fortin has been playing on the 1st line with Dylan Sikura and Dominik Kahun. Their chemistry has been quite noticeable throughout the tournament. Kahun!! With an assist from Fortin! Alexandre Fortin’s roster spot is a little hard to call since I believe he may start off in Rockford, and then, get called up during the season. If I had to project a roster spot for Fortin right now, I would like to see Fortin-Anisimov-Sikura. This would be a competitive 3rd line. Last, but not least, Henri Jokiharju will be looking to finally get his shot this season. It could not come at a better time either as the defense was the Achilles heel of the 2017-18 Blackhawks. The Blackhawks gave up the 8th most goals in the league en route to a last-place finish in the Central division. 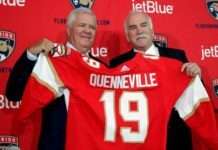 They missed the playoffs for the first time since 2008 and the poor finish netted them the 8th overall pick in the 2018 NHL Draft. His first two games, I’ve been very impressed with his battle level. He is stronger this year. His compete and battle around the net front and in the corners is phenomenal for me and that’s what it’s going to take. There are a lot of strong players in the league, there are a lot of skilled players in our system with that battle and compete. It’s going to be hard and it wears on a player night in and night out. He’s built up the strength this summer so it’s going to be nice to see. 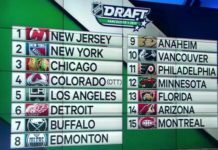 I firmly believe that the NHL roster spot is Jokiharju’s to lose, because he definitely has the talent to play in the NHL. He just has to put it all together now. Henri will need a strong showing in the upcoming training camp and preseason games to earn his keep on the Blackhawks’ NHL roster. Although I would like to see him in the NHL as soon as possible, it would not hurt to start the season off in Rockford to get more playing time and a better opportunity to hone his craft a bit more. Ultimately, I believe we do see Henri Jokiharju in the NHL and his skillset matches up with Duncan Keith very well. I think we will see Jokiharju on the 1st defensive pairing with Keith this season. 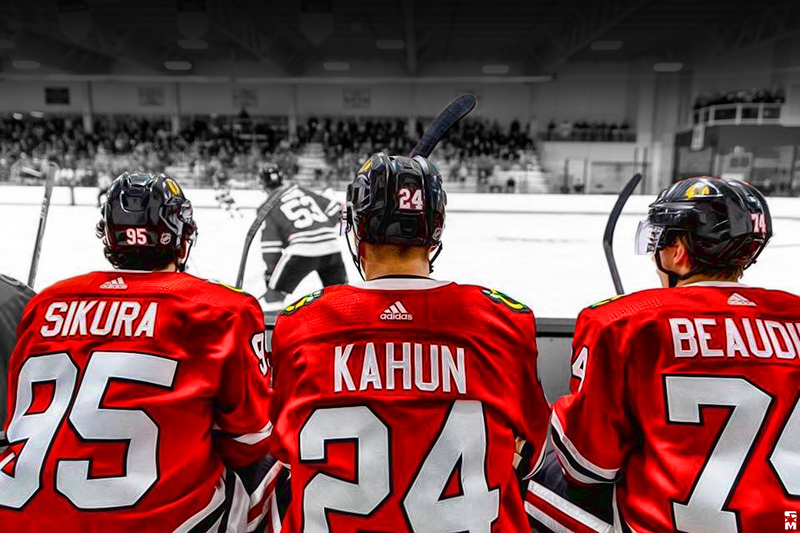 Blackhawks’ training camp officially starts Friday, September 14th. The training camp roster has already been announced. There is one name on the roster that really stands out. Corey Crawford has been included on the initial training camp roster, but will he even be able to attend? That’s the question everyone is asking right now. It will be interesting to see whether or not Crawford is on the ice on Friday at 10 AM. Blackhawks’ Training Camp Fest starts Saturday, September 15th at 9 AM. 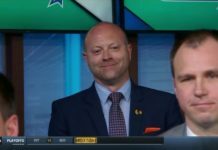 In anticipation for the start of the season, I made a live Twitter video to recap the prospect camp and Traverse City prospect tournament, give some line projections, mull the Corey Crawford predicament, and etc. The best time of year is just around the corner and I’m ready to hear some Chelsea Dagger. Is it October yet? For more Blackhawks news and updates, follow the author on Twitter @Certified_TonyG.